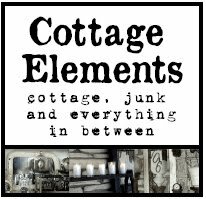 Cottage Elements: Locked and Loaded! Can't believe it's almost here . . . can't believe it's been a year already for that matter! And it snuck up on me so fast! Well ready or not here I come. Ye ha! 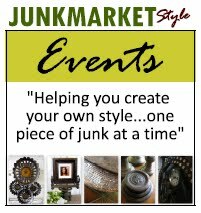 If ya don't know what I'm muttering about, the Fourth Annual Junk Bonanza is to be held this Thursday through Saturday in Shakopee, MN. This year I think will be bigger, and better than ever. Lots and lots of press, lots and lots of advertising. Everywhere I look there's something about the Bonanza. So if your planning on coming, or in the area be sure to stop and say hi! 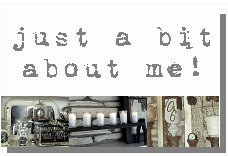 I'll be in the Tent, Section G. Look for Cottage Elements and Mimi-Torias Designs. Click on Junk Bonanza above to be directed to their site for more info. Hope to see you there. Giddy-up! Oh I am soooooo excited. I plan to go on Friday, maybe I'll see you there! Lani, You and Gretchen have a wonderful show! Wish I was there. I was there last year! Be thinking about cha both!